Measurements: 30mm Long x 15mm Wide (1.18"x 0.59"). 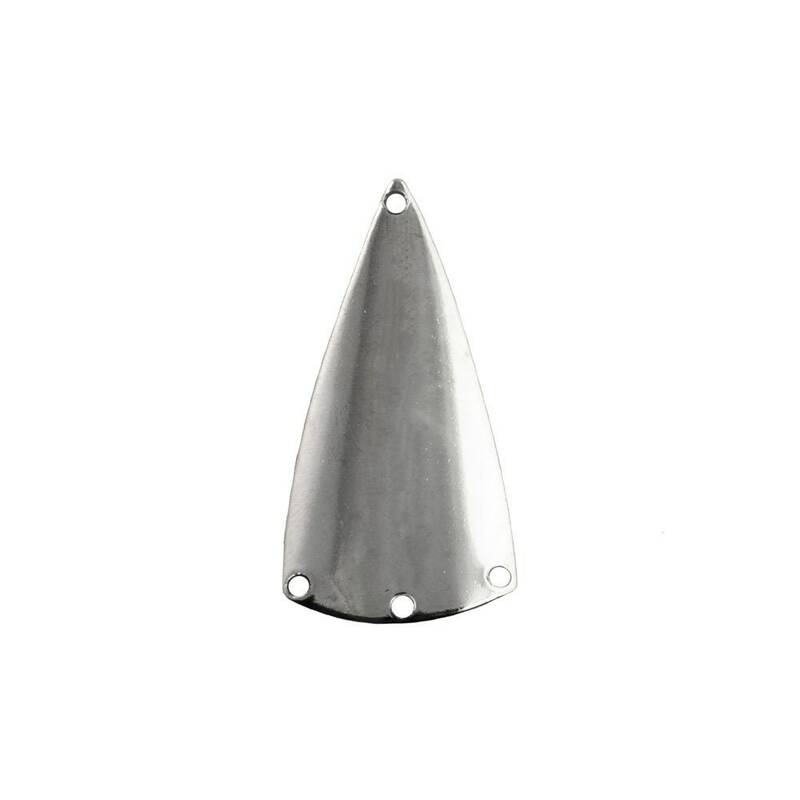 Characteristics: These have 4 beading holes. 1 hole at the top, and 3 at the bottom. These have a slightly concave back. The second photo shows some pieces flipped over. 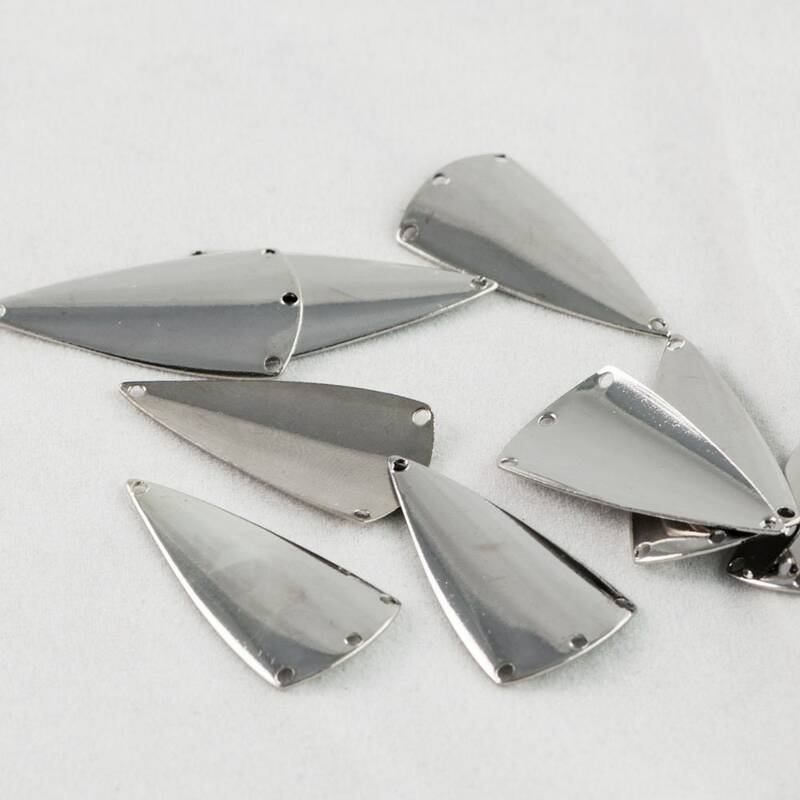 Material: Imitation Rhodium Plated Raw Brass. Any variations in color are shadows. These are entirely silver in color.